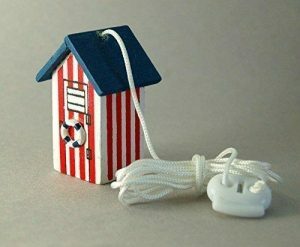 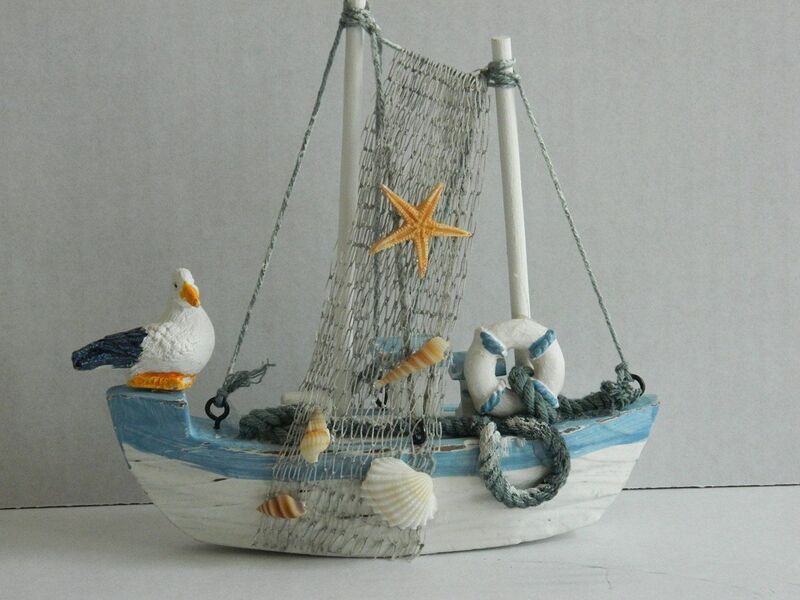 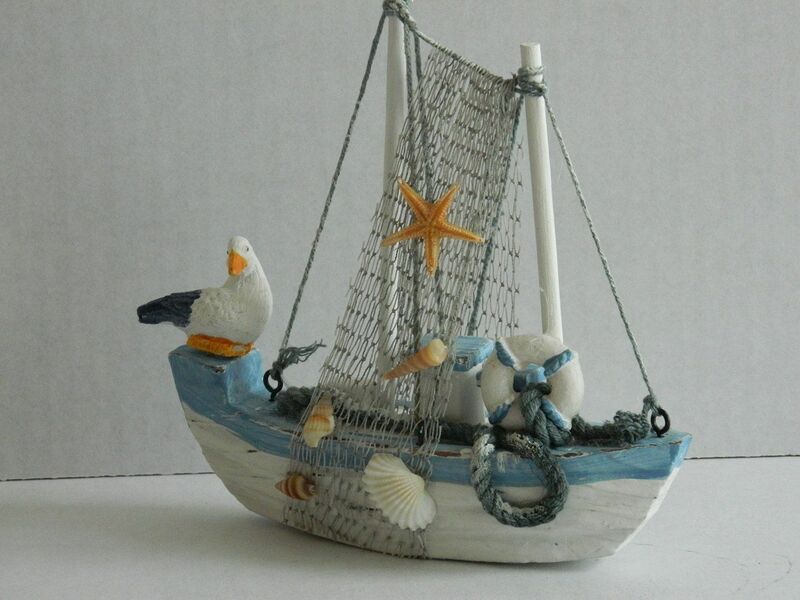 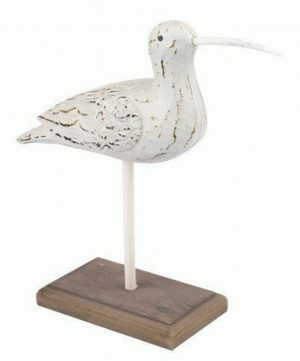 Wooden fishing boat ornament . 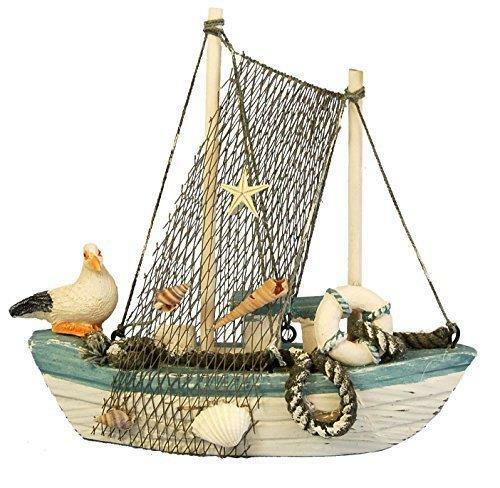 The boat is decorated with shells, lifebelt, seagull and ropes. 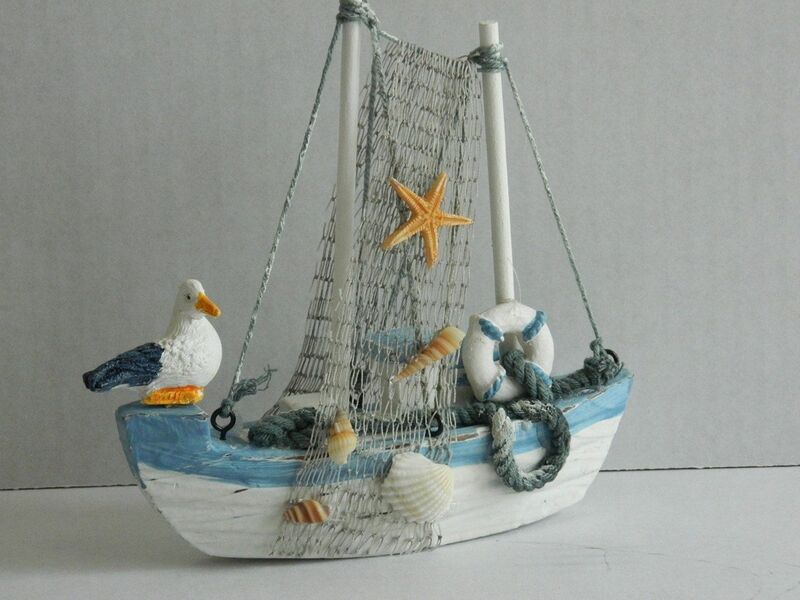 Dimensions: Height 16 cm, width 17 cm, depth 4 cm.